See Royal Mile's diary entry here. 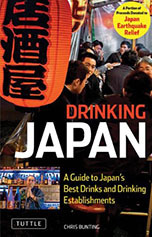 The first two of those should be fairly familiar to Nonjatta readers (or people who saw my article in Whisky Magazine about White Oak, the distillery that produces Akashi). The others are altogether more obscure and I will try to dig up some more detail in the coming weeks. My understanding is that these whiskies are being imported by a Bordeaux-based outfit called Les Whisky du Monde, which has agreed exclusive deals from the beginning of 2011 for the French and European market with White Oak (Eigashima), Monde Shuzo (maker of the Isawa), Chugoku Shuzo (maker of the Togouchi), and Mercian (which appears to have made the Ootori). I think Les Whisky du Monde's full portfolio either includes or may include the following: Akashi blended ( from White Oak), Akashi 5yo, Akashi 12yo, Isawa blended (from Monde Shuzo), Isawa 10yo, Isawa 25yo vintage 1983, Togouchi 18yo (Chugoku Shuzo), and Ootori 15yo (Mercian). I know there is some unease from other importers into Europe about whether importing all of these whiskies is in line market regulations. The points being raised are non-standard bottle sizes and whether all of the whiskies abide by EU rules. 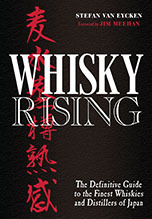 There is also some disquiet on the more general issue of whether importing some of these whiskies might harm the reputation of Japanese whisky. I have not tasted the Isawa for instance, but not everybody who has has been very impressed. The article at RMW is not working. May you check the link? You won't have to go to far to find reviews of the Togouchi and the Ootori, they're are already on nonjatta. As for the Shinshu(Monde distillery), I don't know about the 10YO but the 1983 is being sold in Europe at 43% abv as opposed to the 64% abv it has been selling for in Japan. Moving onto the Eigashima(White Oak) blend, I don't know anything about any controversy over it's contents, I can only say I bought a bottle when last in Japan and it was very good for the Y1000(10 bucks)or so it costs there. I let a non whisky drinking friend of mine try it and he was impressed. I haven't tried their 12YO yet but I am most impressed by the 5YO as reviewed by myself on nonjatta. 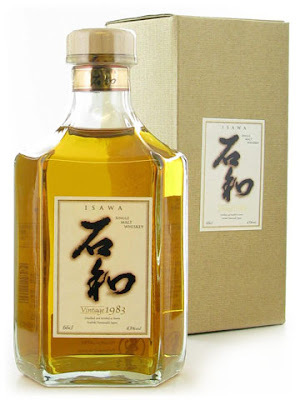 i have just tasted the isawa 83. to me, the taste is very strange and unusual. i cannot explain, but i do not like it. the togouchi is a bit better, but very alcoholic. the 12-year old white oak akashi is great. i bought in japan, for 45 € (o,5 Litre). the other two i have tasted in stuttgart, germany at alte tabakstube.